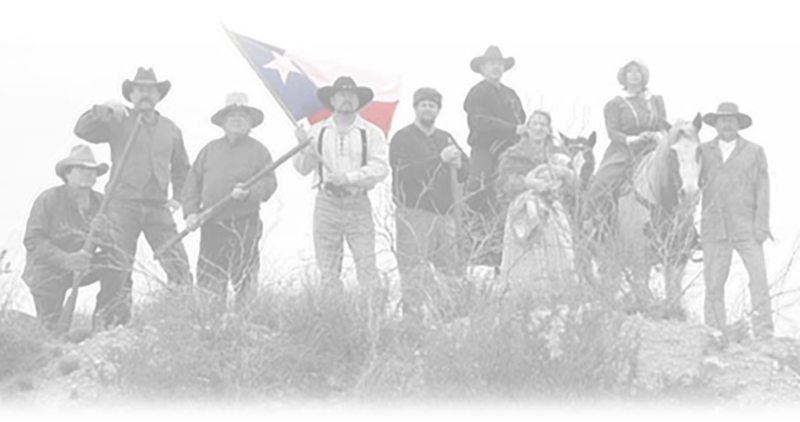 Lonestar Legends is a non-profit corporation that performs stories of history designed to educate young people about the history of our State. The presentations combine live actors with a slide show and audience participation to entertain and inform the audience about the people and events that made Texas into the great State it is today. A question and answer period follows each presentation. The presentation is designed to last no more than forty-five minutes. The story told by the actors combined with the slide presentation makes history come alive for the audience. History is no longer words on a page of a book. It takes on a life that the audience can see and communicate with. The audience participation makes the audience a part of the presentation. 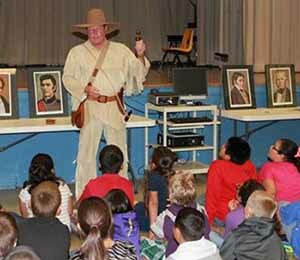 Lone Star Legends is available for school shows, bookstore children's hours, or any other occasion when people want to learn about Texas history. © 2019 Lonestar Legends. All rights reserved. Designed by Bullfrog.